Uniquely Chic Vintage offers free consultation and quotes for all furniture customization projects. Feel free to share with us your ideas, aesthetic, designs, and photos of inspiration! Looking for something specific and don’t see it listed in our shop? Let us find it for you! We specialize in the acquisition of unique and rare items for clients, locally and afar! Please send us a photo of the item you are searching for, we will notify you once we have found it and with your permission purchase it on your behalf. Our shop offers complete, thorough, professional furniture restoration, refinishing, fabrication, and customization. There is no service or piece we cannot “revive” and customize for you! Dealing with vintage and antique decor does have its obstacles, but they can be addressed and fixed. Sometimes when deconstructing or repairing a piece, we come across new issues that may require additional time, labor, supplies, and materials. We will notify you immediately of these hiccups and the factors necessary to repair, restore, or fix the item. Please note these unforeseen issues may result in an additional expense to the client (they will be notified immediately). Once a custom order is started, changes in the finish cannot be made without a “change order” fee. The fee varies depending on the technique, materials, and labor needed to complete the application you desire, which may include additional supplies and labor to “undo” the process already underway. Supply and Material costs per a custom project quote are non-refundable at any time. A custom quote is based on current market prices for materials and subject to change at any time. The list price for a frame or piece of furniture must be paid in full to commence work on a custom project. The deposit for the frame/list price is non-refundable after 7 days. Prior to any work performed altering a piece of furniture, we require a portion of the customization balance be paid. Once a piece of furniture is altered – i.e. deconstruction of original materials, sanding, priming, painting, etc – payments toward the piece are non-refundable. If a client chooses to cancel the customization project, the deposit for the piece itself and any payments toward the customization process will not be refunded at any time. Please note: working with older, used, antique and vintage furnishings does present some challenges during reconstruction. Unfortunately, some internal issues with these pieces only become apparent once existing fabric and materials are removed. 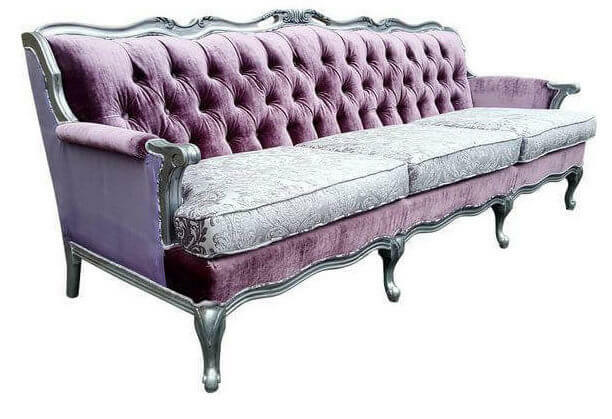 We do occasionally need to modify a piece to complete the customization which may include, but is not limited to, additional/absence of buttons, repositioning or addition of fabric, repositioning or addition of trim, repainting as opposed to restaining, diminished lines of tufting accents, etc. We strive to provide you with a customized piece closely following the original structure and style of the while not compromising the structure and integrity of the piece. If the structure or details on a particular piece cannot be repaired, or would need significant alterations, we notify the client immediately. The client can then choose to move forward with the proposed changes or choose another piece from our inventory. Any payments toward a damaged or unrepairable piece can be used toward a new custom product or item available in our inventory. At no time will payments made by the client be refunded due to the impossibility of repairing or continuing with a piece – we will work with you to find another similar piece to suit your needs. Our shop sources fabric from worldwide fabric distributors, design houses, and online retailers. We are not limited to sourcing the fabric of your choice through specific brands or vendors, as all of our clients have varied tastes and aesthetics. We are happy to source the fabric you desire on your behalf. We begin the fabric selection process by sending you digital swatches of the type, color, and style fabric you desire. This allows us to narrow down the print, color, tone, and hue you are looking for. Once you indicate the digital swatches you prefer, we send you via mail physical swatches of your selection. You then have the opportunity to feel, see, and explore the fabrics yourself before ordering the yardage needed for your custom project. The cost of the fabric per yard is at the sole discretion of the client. The upholstery labor in our quote DOES NOT include the fabric, unless otherwise noted in the quote. Our clients are welcome to choose any fabric they desire; however, the price per yard of the selected fabric is the responsibility of the client. We require that the cost of the fabric be paid in full, prior to us ordering the fabric of your choice on your behalf. We do not order fabric on behalf of clients without payment for the fabric clearing first. If you prefer you are welcome to order the fabric yourself and have it shipped to our upholstery workshop as well. All of our custom furniture clients are welcome and encouraged to supply their own fabric for upholstery as well. We will happily walk you through the process of ensuring you acquire appropriate, high grade, quality, upholstery fabric for your specific project. We will not accept non-upholstery grade fabric for usage in an upholstery project. Upholstery grade fabric ensures the fabric was tested for high-traffic durability and specific use for furniture and home decor applications – apparel fabric or other unsuitable fabric will not be accepted for upholstery projects. Please note any specialty fabric provided by a client will be used per their request. However, we are not responsible for the integrity of client provided specialty fabric such as: embroidered fabric, hand-made fabric, painted fabric, or any other custom fabric not specifically deemed for upholstery use. We will use this fabric per your request but cannot guarantee the longevity, sustainability, or durability. Clients choosing to use specialty fabric for upholstery projects due so at their own risk and no refunds of the upholstery, labor, or materials will be issued. We encourage you send the physical swatches back to us, with the chosen fabric indicated, so we accurately order the fabric of your choice. Digital swatches and photos of fabric online can vary greatly from the true color, texture, design, and weight of the actual fabric. We strongly encourage all clients to order swatches of the fabric they are interested in so you may touch, feel, and see the fabric for yourself prior to (us or you) ordering the yardage necessary for a project. Once the fabric order is received, it must be unaltered to be return it to the distributor for a refund. Fabric bolts that have been cut, dirtied, marked, or otherwise altered will not be accepted for return or refund. Please note: if you do not send back the original swatch, we are not responsible for inaccurately ordered fabric. We must have the original swatch to correctly order the fabric you want. We are not responsible for the delay of quoted completion time due to fabric on “back-order,” or for fabric shipping transit delays. Unfortunately, if your chosen fabric is on back-order, the upholstery will cease until the fabric is available for purchase and is received in our shop. Once the chosen fabric is received in our shop, the upholstery process will resume and a new completion date will be provided. Fabric on “back-order” or “delayed delivery” is not grounds for termination of your custom furniture project and your deposit/payments will not be refunded for fabric availability issues. We take absolute pride and consideration of your time and expectations. Once we initiate a custom project with you, we will provide an approximate completion time-frame. We can provide an estimated date of completion upon purchase, but cannot guarantee an exact completion date as it varies depending on the project specifications, custom paint, procurement of materials/supplies, drying time, fabric delivery, detailed upholstery applications, etc. We are committed to your complete satisfaction; we take our work very seriously and strive to complete orders as quick as humanly possible. However, due to high demand, the nature of the materials, and factors out of our control (weather, shop limitations), turnaround times to complete a custom order may take longer than initially quoted. All delays of process time and completion expectations will be communicated to the client. Completion time can vary per each custom project due to many factors. Generally speaking a small customized piece of furniture may take as little as 2-3 weeks to complete, whereas larger and upholstered pieces may take roughly 3-10 weeks and possibly more. Completion time is dependent on the detailed nature of the pieces themselves, the number of furniture pieces, procurement of specialty materials/supplies, restorative repairs, and our lead time with existing projects that have commenced. Orders are completed on a first come, first serve basis in the order they are received. We realize some clients need pieces by a specific date, therefore we do offer “rush service”. If a client requires their custom project completed by a certain timeline or specific date, please communicate that to us prior to project commencement. A Rush Service charge equal to 20% of the total project customization balance will be added to the final balance. This service fee enables us to employ additional staff, seasoned professionals, space and other necessities to finish your project in the timely manner you require. Once your fabric is received in our possession, we will provide you with a new lead time as to the approximate completion of your custom piece. The fabric selection process can be overwhelming at times and we are here to help you with the process. The lead time initially provided to you at the beginning of the custom project may change once the fabric is received at our shop. After we have the fabric in our possession and can begin the upholstery process, we can provide you with a more accurate time frame. The longer it takes for a client to select and for us to receive the fabric, the longer the turnaround time of the project; therefore, your custom project may shift in its completion order at the shop while we were waiting. Please note that if there has been a substantial delay in the fabric selection/receipt process or payment by the client, the project completion lead time may be increased. Please understand that while we strive to complete your custom project as timely as possible, our shop must continue to work on new and existing client projects while waiting for your fabric selection and payment. Payment in full and any remaining balance owed MUST BE PAID upon completion of your custom project. NO EXCEPTIONS. All of our pieces for sale and customization are antique, vintage, or otherwise previously owned unless noted. All vintage and antique pieces are sold “AS IS” and are expected to have age appropriate wear and tear. Our unique and fabulous offerings are used, and as expected, always come with some scratches, dents, dings, discoloration, patina, or other damage to finish. If taking a piece “AS IS” without custom paint or refinishing, we require you download, complete, and return the AS IS Purchase Waiver, as we will then do nothing to repair the wear. Note: the piece may have some dents or dings! If you wish, we are talented professionals seasoned at refinishing, re-staining, and can fully restore any piece – inquire for a complete dossier of options. We communicate with all of our clients and buyers the condition of our inventory. You are welcome to purchase our items “AS IS,” or we will refinish, stain, repair, customize, or redesign any piece of your choice. Any pieces purchased for customization will be internally and externally repaired and refinished – we are happy to restore your selected piece both structurally and aesthetically to your vision. We do not upholster or customize severely damaged or compromised furniture without first fully repairing it. Please contact us with an questions you may have about a particular piece. We are happy to to provide more detailed information and photos about each piece and the restoration options available specific to each. Furniture items offered by our shop, Etsy.com shop, or provided by a client needing unforeseen repairs or materials replaced may accrue additional charges – which are the responsibility of the client. Pieces of considerable age may have compromised structural integrity invisible on the surface. There may be additional unforeseen costs to repair the piece. While removing the original materials, underlying structural issues may appear, such as non-reusable foam or padding, damaged wood, broken frames, damaged legs, or other internal issues. We will fix and restore these issues to continue the customization process; however, the charges to do so are the responsibility of the client. Any additional costs to correct these structural problems will be communicated to the client immediately. If you wish to purchase a “ready for a renovation” piece from our inventory for customization, we do require a 100% deposit of the frame list/price for the item. The 100% deposit for the list price of the piece ensures no one else can purchase this item from our other sites and sales platforms. The deposit/retainer for the frame/list price of a piece is non-refundable after 7 business days, as we removed the specific item from our sales platforms specifically for you, thus making it unavailable for purchase by other potential buyers. Should you choose not to move forward with the customization and purchase of a piece after 7 business days, your deposit/retainer for the specific piece will not be returned. Should you see another piece added to our inventory that your prefer, you can use the deposit/retainer towards the list price, frame price, or customization costs of the other piece. Your deposit/retainer effectively holds and reserves your “ready for renovation” furniture item or frame for 30 days. Despite initially providing deposit/retainer for the list price or frame, if you have not made a payment towards the refinishing costs, upholstery labor, or the customization balance your initial deposit is non-refundable. We cannot store and continue to hold an “inactive” customization project piece for more than 30 days. If we have not received a payment from you towards the remaining balance of the project or there has been no communication from (you), the client, regarding the customization process, the furniture will be considered “abandoned” and the deposit/retainer for the furniture will not be refunded. We reserve the right to donate, sell, destroy, or remove furniture “abandoned” by a client from our shop after 30 days with no communication. If a client does communicate with us that payment will be received on a certain date and the client fails to do so, the initial payment of the list price or furniture frame is non-refundable; as the piece is now considered “abandoned” for failure of project payment. After 30 days, without payment towards any portion of the upholstery labor, other labor, supplies, materials or other portion of the balance of the custom project or if you have missed an agreed upon payment date, the furniture is considered abandoned. Your initial deposit/hold/reserve cost for the item will not be refunded. Any payments made towards the customization of the piece including materials/supplies costs, fabric, upholstery, labor, painting/refinishing and shipping are also non-refundable. If a client fails to make agreed upon payments towards the customization of a piece and the piece is deemed “abandoned”, the fabric procured and paid for by the client will be returned to them. The costs to ship the fabric back are the responsibility of the client and we will not ship fabric without shipping costs paid in full in advance. By providing a retainer/deposit electronically or making a purchase from our Etsy.com shop, you certify you have read and agree to the policies outlined. Yes, you may put an item in our shop on hold. If you see an item in our inventory you wish to temporarily hold, we require a 20% deposit, and the remaining balance of the list/frame price must be paid within 7 business days or the item will return to our inventory and made available for sale. Additionally, all of our finished pieces for sale require a 20% non-refundable deposit to hold. We currently accept Quickbooks, money order, bank check, or personal check (please contact us directly if you would like to pay with a personal check). Your furniture customization and the acquisition of materials will commence upon payment clearing. We offer payment plans to all of our custom furniture clients. We work with you and your budget to make your dream furniture a reality. We can easily break up your balance over time in increments agreeable with your budget to finance your new furniture. Once we setup a payment plan for your custom furniture, we will email you a contract or “project overview” outlining the details of the project and agreed upon payment structure. Your deposit and continuation with the custom furniture project is your acceptance of the terms and conditions outlined here. Your agreement to your custom project quote implies you understand the terms/conditions of this site, your specific project overview, and the payment structure. In order to begin with deconstruction, customization, and other labor on a particular piece, at least 1/3 of the balance of upholstery, labor, supplies/materials, and other customization costs must be received. If you cannot make your scheduled payment during the time frame outlined in the payment plan, please contact us immediately – we will work with you to make a new payment schedule. Should we not come to an agreement on a new payment schedule, the project will go into default; previous payments and deposits will not be refunded for any reason. If a new payment schedule has been agreed upon and for a second time a scheduled payment is missed, the project will go into default. If you can not continue making your scheduled payments and incur a second infraction, the project is in default and the client must pay the ENTIRE balance of the project within 30 days to continue forward. Labor will cease and desist until the entire balance has been paid in full. Should the balance not be paid in full within 30 days, all deposits, payments, material/supply costs, and fabric cost will not be refunded. The deposit for the frame of your custom piece is also non-refundable. Please note that if a project goes into default or there has been a substantial delay in payment by the client, the project completion lead time may be increased. Please understand that while we strive to complete your custom project as timely as possible, our shop must continue to work on new and existing client projects while waiting for your payment. Once payment in full or continuation of payment plan has commenced, the client will receive a new completion date estimate at that time. In order to get the most accurate shipping quote, we need the following: the item of interest, an accurate shipping address (including zip code), type of address (residential or commercial), and a contact number. Shipping and handling quotes are based upon the items weight, dimensions, volume, and delivery destination. Rural and highly congested areas may be subject to additional shipping charges, and shipping quotes may change at any time, as they are determined by our White Glove Shippers and LTL carriers. Uniquely Chic Vintage may also add a small $20 to $70 packing and handling fee to process your shipment. SHIPPING CHARGES MUST BE PAID BY THE BUYER PRIOR TO SHIPMENT. Once your payment clears and the funds transferred into our bank account, we will book the shipment of your purchase. This process usually takes 4-7 business days, we will NOT book or ship your purchase without the funds clearing into our account first. Please allow 7-12 business days for your purchase to be packaged, handled, and picked up from our shop once shipment is booked with a freight carrier. Freight carriers generally make pickups in Rhode Island on a weekly or biweekly basis. We will not ship your purchase until the entire shipping costs have been paid in full. The tracking for the shipment of your purchase will be sent to the client after the scheduling of pick up from our location. The delivery/shipping BOL and tracking for the shipment will be provided to the client at this time, and all questions regarding the tracking of the shipment can be directed to the freight carrier. THE BUYER IS RESPONSIBLE FOR STORAGE, SHIPPING, HANDLING, INSURANCE, PACKING & DELIVERY COSTS. Uniquely Chic Vintage offers the following shipping options for all buyers purchasing directly from both our online store: www.uniquelychicvintage.com and our Etsy.com shop: https://www.etsy.com/shop/VintageHomeRehab. Our preferred vendor for White Glove Shipping service is Plycon Group. White glove freight services offer the highest level of service and support for our clients and their purchases. Uniquely Chic Vintage will ONLY ship custom or vintage/antique purchases with White Glove Shipping services. White Glove Shipping is the most trusted, expedient, and reliable shipping service for furniture and other large items. When shipping furniture or other types of delicate items, a higher level of service and handling is much more valuable. This service will meet or exceed your expectations, this is a professional service that will handle all the details on your behalf. White glove movers may be slightly more expensive than LTL shipping options, but WGS minimizes the hassle of moving large pieces of furniture at your location. You are not responsible for costs to crate, package, handle, load, unload, or unpackage your delivered furniture. Upon pickup from the seller, packaging of your item is scheduled to be completed to best protect your item. The services will use the best practices and materials for handling your shipment. White Glove Shipping pickup and delivery service options include curbside pickup and delivery. Limited access, terminal-to-terminal, door-to-door, airport, business-to-business, business-to-residential, residential-to-residential, blanket wrap and additional packaging options are available from our preferred carriers/shippers. Specialty equipment such as padded vans and blanket wrap services are provided. Lift gates are available when needed at both ends of the process. All equipment required for transporting your shipment is handled by your agent. First and final mile services are provided with no hidden costs. There are trained experienced professionals that will do light assembly and install when needed. Clean up is all handled for you. All packaging materials, blankets, and garbage is removed and disposed of from your site. They will ensure your item arrives in the same condition it was picked up. These services are also beneficial when items are too bulky or heavy for one person to move upon delivery – helpful if you live alone or don’t have anyone to help you place your item where you want it on arrival. An LTL freight shipment usually refers to the transportation of an item (or items) that are too large to be shipped by parcel carriers like FedEx or UPS but too small to fill up an entire truckload. Hence the name LTL (less than load). LTL freight shipments typically weigh over 100 pounds, are bulky, and are delivered and picked up from commercial as well as residential addresses. For regular freight, LTL delivery will only deliver your shipment to your curb or physical street address. The LTL shipper is limited to delivering your purchase to your driveway or easiest unloading location. The responsibility of unpackaging, moving, assembling, or otherwise setting up the piece is placed completely on the client. LTL handling, packaging, and insurance costs are the sole responsibility of the buyer. 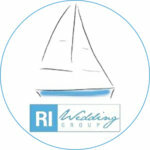 All clients and buyers are welcome to choose their preferred shipping option/carrier. SHIPPING COSTS ARE NOT REFUNDABLE FOR ANY REASON. WE ARE NOT RESPONSIBLE FOR DAMAGE, DELAYS, OR LOSS DURING SHIPPING. We strongly recommend White Glove Shipping for your purchase and delivery. Should a buyer choose to forgo White Glove Shipping, your purchase will be shipped LTL. Once payment for shipment clears, we need a 1-2 weeks to rate shop carriers, handle, package, and arrange for pickup of your purchase. Once a pickup request is accepted and cleared with the freight carrier, they will contact us 24 hours prior to pickup; the freight carriers are generally in our area for pickups once a week or bi-weekly – we have no direct control over when a shipment will be picked up from our shop by the carrier. In some cases, due to freight travel routes, overloaded trucks, weather conditions, or other uncontrollable factors, the carriers may not pick up your shipment for 2-3 weeks. If our shop and/or personnel are unavailable on the day your shipment is communicated to be picked up, the freight carriers will return on their next route through our area. Carrier shipping times are generally 8-15 days from when the item leaves our showroom. If this lead time is not agreeable to you, please let us know and we will discuss the more expedient options to get your purchase sooner. Please contact us to discuss. Local pickup is always welcome and accepted. We strongly recommend using a White Glove Shipping provider for the shipment of purchases made through the Uniquely Chic Vintage Etsy.com shop page: VintageHomeRehab and the Uniquely Chic Vintage site. Should a buyer choose to have their purchase shipped by a LTL Freight Carrier, please be advised of the following policies regarding damaged shipments. Upon receipt of purchase, please unwrap and thoroughly inspect the item immediately, make note of any issues and take clear photos of any damaged elements. Please contact us immediately, providing written explanation and photos depicting the damaged goods. Failure to contact Uniquely Chic Vintage or Etsy shop: VintageHomeRehab withing 48 hours upon receipt of goods will void any attempt that can be made to recoup any shipping costs, damage reimbursement, or potential refunds. We cannot process an insurance claim with the insurance provider OR the shipping carrier after 48 hours of delivery. No refunds, reimbursements, or payments to the client/buyer will be provided once 48 hours post-delivery to the consignee has elapsed. Please note that all items are wrapped, packaged and shipped properly for transport. Uniquely Chic Vintage and our Etsy.com shop VintageHomeRehab utilizes various materials to wrap and protect items for transport. We use freshly washed, abeit previously used comforters (just like delivery blankets) to wrap and ship furniture, in order not to charge our buyers increased shipping charges for non-eco friendly packing materials. While the packaging materials may not appear the most attractive, our experience in the shipment of furniture across the globe has educated our staff how to dutifully and effectively ship large items. If a purchase has been damaged and you opted to add insurance to your shipment, please provide written explanation and photos depicting the damages to us within 48 upon receipt of item. We will contact the shipping carrier and file a claim with the insurance provider immediately on your behalf. Once your insurance claim for the damaged goods has been submitted, it may take up to 90 days or more for the insurance company to review the claim and issue a refund. During this time, Uniquely Chic Vintage and our Etsy.com shop VintageHomeRehab will NOT provide a refund to buyer for any reason. Once a claim for the damaged shipment has been finalized and processed by the insurance company, Uniquely Chic Vintage will immediately provide that refund to the buyer. Uniquely Chic Vintage and our Etsy.com shop VintageHomeRehab have absolutely no control over the insurance company’s procedure and decision process. We diligently work on behalf of the client to get all or a portion of their investment returned if a purchase is damaged during shipping. Thank you for your understanding and patience during this process. Should a buyer deny receipt of their purchase at the time of delivery, we are unable to file an insurance claim on your behalf for the damages of the item. Shipment of the item back to our shop is the responsibility of the buyer. No refunds will be provided for the damaged item until and only if the item is returned to us. Shipping charges for the original transport of the item or its return to our shop will be not refunded. We offer personal delivery throughout the Northeast United States: Rhode Island, Connecticut, Massachusetts, New York, New Hampshire, Vermont, Maine, New Jersey, Pennsylvania. Personal delivery includes the transportation of your purchase to your street address, including removal from vehicle and into the immediate entrance of your building. Due to insurance limitations, we are not able to lift, carry, or move furniture more than one flight of stairs (a flight constitutes 6 or more steps, and includes any steps leading into the building). We will happily ensure your furniture is out of the street and into the building, but this is as far as our delivery team can go. If you need placement of your furniture within your home, we can discuss additional charges to accommodate your needs, along with insurance options, and a damage waiver for this service. Please note: should any delivery personnel be injured on your property due to noncompliance with the guidelines outlined above, we will be forced file a claim with your building insurance, property insurance, or homeowners policy. We are not responsible for your purchase not fitting through doorways, elevators, stairwells, and other restrictive spaces. Please check the dimensions of your living space, building, entry points, etc to ensure your purchase will fit properly. Should your purchase not fit through any personal or public space upon delivery, we will leave your purchase in your possession where it is, so you can make other arrangements. We can not, due to insurance policy alter, remove, or otherwise modify any personal or private living space to accommodate your furniture delivery. Insurance is $50 for shipments up to a $2,000 value and it is the sole financial responsibility of the buyer to purchase shipping insurance for their piece. We will gladly arrange to insure the purchase and shipment on your behalf, but costs are covered by the client. Should you choose to waive the insurance, we are not responsible for loss or damage of your purchase in transit. Once a piece has left our shop we are no longer in direct care of the item and are no longer liable for its condition. We will provide you with a waiver to sign, exonerating Uniquely Chic Vintage and our Esty.com shop Vintage Home Rehab from responsibility of damages or loss during shipment. Upon completion of a custom piece, we contact the freight carrier to orchestrate pickup and delivery of your furniture. At the time of completion we do require the balance for your custom piece(s) be paid in full and shipping charges are due prior to shipment. If necessary we will store your purchase or custom furniture for 14 days free of charge. After 14 days fees for continued storage of client’s items will be assessed. Unfortunately due to the constant flux of incoming and outgoing projects in our workshop, pieces will need to be stored offsite to ensure they are not exposed to potential damage or restrictive spacial constraints. Off site storage fees start at $50 per week and your items will not be shipped without payment of storage fees.